Console gaming is under siege! The sector is being attacked from all angles, and while I firmly believe there will always be a market for gaming enthusiasts, this remains a shrinking market, as an increasing proportion of gamers can now be satisfied with alternatives of lower but sufficient quality. The numbers speak for themselves. Researcher NPD Group released its estimates of June domestic video-game sales last week, and red was the theme of the report. Software and accessory sales plunged 29%, while overall retail sales fell by from US$990 million to just US$700 million. Microsoft (Nasdaq: MSFT) sold 270,000 Xbox 360 units in June, roughly half the 507,000 units sold a year ago. Sony (NYSE: SNE) doesn’t report PlayStation 3 unit sales, but NPD still pegs Mr. Softy’s market share north of 40% for the 18th consecutive month. Apple (Nasdaq: AAPL) has had a major impact on the market, interestingly by pure accident with iOS. The iPhone maker is probably going to get serious about further disrupting gaming, but now there’s another threat to the industry. 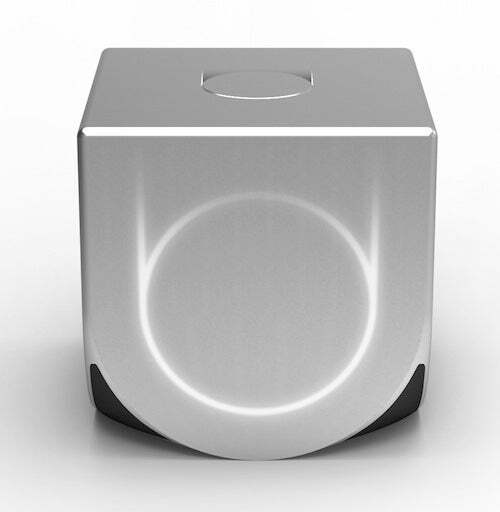 Ouya is a small cubic console that costs just US$99 and will run Google (Nasdaq: GOOG) Android. Any developer can publish games to the ecosystem, and all games will be free to play. The device is even designed by popular designer Yves Behar. The project began on Kickstarter to raise funds earlier this month, with a goal of US$950,000. It hit that goal in just over eight hours, when it topped US$1 million. As of this writing, the project’s funding has already soared to nearly US$5 million, with more than 38,000 backers supporting the project, and the first batch of 1,000 units (that went to those pledging US$95 or more) is already sold. Clearly, there’s massive interest for such a disruptive offering. While the console runs Android 4.0, that doesn’t mean you’re just going to find your usual fare of Angry Birds, Cut the Rope, or other touch-based games. Ouya will use a familiar wireless controller, and existing Android games and apps can be ported over easily, but ideally developers will make games just for Ouya. In fact, there will still be a proprietary Ouya store (as opposed to using Google Play), complete with a 30% toll for developers passing through, so while there are still technically some walls to this garden, they’re much easier to scale than in the traditional console space. The approval process is supposed to be minimal, but an important requisite is that all games must have a free play option. “Free” could include just a demo, but it could also be an entire game, with the developer relying on in-app purchasing for sales, taking a page out of the mobile playbook. The company is upfront with welcoming the hacker culture of ambitious users wanting to modify the system. It even actively encourages it. But the stock hardware itself can’t hold a flame to the horsepower of traditional consoles. It will use an NVIDIA (Nasdaq: NVDA) quad-core Tegra 3, typically found in smartphones and tablets, while the Xbox 360 and PlayStation 3 use much beefier processors with much more powerful graphics, and that’s before we even talk about the next-generation Xbox “720” or PlayStation 4 that are due out within the next few years. The real disruptive potential lies in the model, though. The key is the open approach to the ecosystem. Currently, consoles are sold at a loss in the early days because of hefty hardware costs, with manufacturers hoping to make up the difference later on in licensing fees from third-party developers on software titles, which can be anywhere from US$3 to US$10 per unit. Console makers have traditionally had stringent controls over what types of titles are available on their platforms. Eventually, component costs come down, and the vendor can potentially achieve break even or — gasp! — profit on each unit. The Ouya is very much taking the mobile model, where developers simply relinquish a cut of sales instead of a direct licensing fee, and the barriers to entry are much lower, allowing a plethora of developers into the ecosystem. The “freemium” approach has also taken off in mobile, giving away the game in hopes of selling virtual goods. Interestingly, this is required in Ouya, so gamers at the very least get to try out a game before they buy in further. By using cheaper components, like the Tegra 3 that costs about US$20 to US$25, it’s more likely the console can be sold at or near cost. That means the graphics quality will be undoubtedly lower than beefier traditional consoles, but the real promise lies in the low-cost and prospect of being just “good enough” for the mainstream. Mobile computing performance is growing exponentially also. Microsoft, Sony, Nintendo, and even Apple should be worried about Ouya. The device has many of the classic characteristics of a disruptor, from its low cost to the perceived underperformance relative to the mainstream market. It’s like plugging mobile gaming into your TV with a controller and opening it up to any and all developers. At US$99, it’s worth a shot.